Mulan International Film Festival 2018 is proud to present the screening and on-stage Panel Talk of Plastic China (塑料王国, with English subtitles)! Yijie, an 11-year-old girl, works alongside her parents in a recycling facility while dreaming of attending school. As much as her life is poor and distorted, she is a truly global child who learns the outside world from the waste workshop that her family lives in and works in – also known as the “United Nations of Plastic Wastes.” Kun, the facility’s ambitious foreman, dreams of a better life. He works day and night, and ignores the physical and mental health problems of his own family. Following these families’ daily lives, Plastic China explores how this work of recycling plastic waste takes a toll not only on their health, but also their own dilemma of poverty, disease, pollution and death. WANG Jiuliang graduated from Communication University of China, School of Cinematic Arts in 2007. From 2007 to 2008, he finished a set of photography work about Chinese traditional superstitions. He started investigating the landfill pollution around Beijing in 2008. 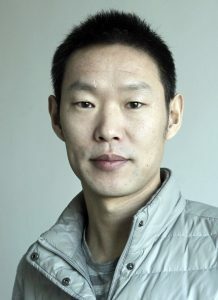 In 2011, he finished Beijing Besieged by Waste, a set of photography work and a documentary with the same name. Plastic China is his second documentary, and it has won many awards at festivals around the world.